Americana: a forgotten art. It's the music of the heartland with rich vocals and well-layered instruments. Occasionally, there are artists that come out of the wild blue yonder with a sound that truly seems inspired by an amalgam of genres. In the case of John Ball (who played bass for a time in the band I Am Terrified), it is most definitely so with his self-titled EP. The album opens with the energetic yet subtle, "When I Kept Silent." Its pop-folk infused music is accompanied well with John's bluesy vocals. It's a great way to start an album and really sets the tone for the entire project. "Your Faithfulness" has an almost whimsical feeling to it with a melody that is reminiscent of Eisley or Death Cab for Cutie. The lyrical content is rich with biblical thought as it really leans on the truth of Christ extending grace to humanity. While this is not unexplored lyrical territory in the CCM industry, it is so rarely composed with such excellent music. "Woe to Me" introduces a more somber sound, and it is well done at the very least. The beautiful arrangement of soft strings with acoustic guitar and raw vocals give the song a heartfelt strength. John uses healthy layering of instrumentation very well and makes the theme shine: the Lord seeing us amidst our sin and saving us. "On My Own" continues with his soft side and he also does it well, this time with almost a hint of influence from Bon Iver. "Torn from the Root," takes off with another round of energy but with very introspective lyrics as John looks more to how God has changed him entirely. The EP concludes with the folky-blues imbued "Temptation." It flows almost as a story of being released from the temptations of life. It's an excellent way to bring the project to a close, as it is filled with well-executed instrumentation and smooth vocals. 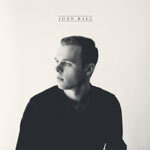 Overall, John Ball has done an amazing job as an indie solo artist, and honestly sounds more like a well-seasoned one. Many people don't begin their music career so well. If he continues down this road of excellence, we may yet see him again - and again and again. Well done, John Ball - we look forward to hearing more from you!